When the temperature behind the window drops, your pet will be happy to get warmed up with the stylish Bowl&Bone Republic dog blanket. The item is soft to the touch and has elegant and fashionable tags. 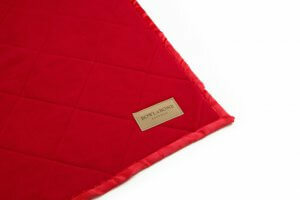 The dog blanket will not only provide the pet with warmth at home, but also can be very useful when traveling by car. From now on, your dog will enjoy blissful laziness regardless of the weather and the season. Our dog blankets are made of high quality fleece, that makes them pleasant to the touch, and at the same time they dry out quickly and do not retain moisture. Even for high-energy dog, there comes a moment when he dreams of the nap in a warm, pleasant and safe place. The stylish Bowl&Bone Republic dog blanket will make him feel like he is in his own kingdom. Wrapped up with the blanket, he will be able to have some good sleep, so that just after waking up he will be ready to get lost in the crazy play on the soft, top-quality fabric again. A dog blanket is a must-have on cool evenings at home, but it can also be very useful on the road. If you’re looking for a gift idea among dog accessories, you’ve come to the right place. 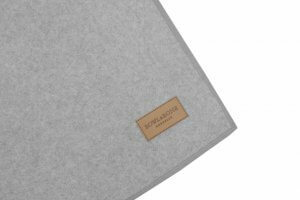 An elegant dog blanket for a puppy that is just getting to know the householders, will guarantee a pleasant warmth, a sense of security in a new environment, and at the same time will look great in the living room or bedroom.